Chennai, May 13 (UNI) Chaos and disorder marred the swearing-in ceremony of DMK Government headed by Party President and Chief Minister M Karunanidhi at the Jawaharlal Nehru Stadium here today, as DMK cadres made shambles of the arrangements. Thousands of enthusiastic DMK workers barged into the function hall, breaking the barricades. The police were helpless, facing some adverse remarks from some of the angry party workers, who were denied entry. The barricades, especially at the VVIP entrance through which the Governor Surjit Singh Barnala, Mr Karunanidhi and his Cabinet Ministers-designate entered the venue, were damaged as party workers swarmed the area. About half an hour before the arrival of the dignitaries, the situation started getting out of control as a couple of doors in the stadium were damaged as partymen rushed into venue. Tamil Nadu Chief Secretary N Narayanan, who conducted the proceedings, was frantically trying to ensure there were no last minute hitches, while Director General of Police A X Alexander was controlling the crowd along with other police officials. 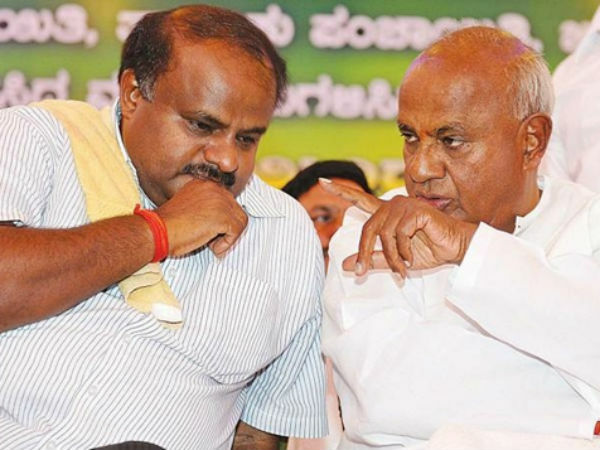 More confusion was in store as party workers occupied the chairs earmarked for the VVIPs following which several Union Ministers and leaders of various political parties were forced to stand all through for the 67-minute function. Even the family members of Mr Barnala and Mr Karunanidhi were seen standing on the dias due to lack of seats. Left with no other option, police closed all the entry points and the crowd, desparate to enter the hall, thronged the VVIP entrance, leading to chaos and confusion. Even Union Minister Dayanidhi Maran, who was completely drenched in sweat, appeared unhappy. Also spotted in the crowd were Former AIADMK leaders Sedapatti Muthiah and Inbathamizhan, who had joined the DMK before the polls. Several press reporters were also not able to go near the press gallery as the DMK workers occupied every inch of space inside the stadium. For the hordes of media personnel, the arrangements were far from satisfactory as confusion started at 0900 hrs from Kalaivanar Arangam, the pick up point for them. There was more trouble for the media with only two vans, each with a seating capacity of 12 to 15 people, available to them for transportation. Several reporters and photographers had to find their own mode of transport to reach the venue.